HNHH Premiere! 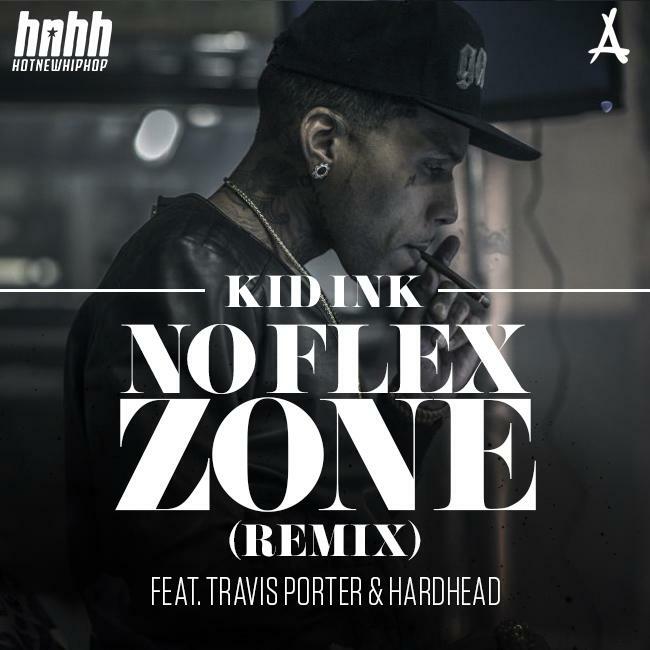 Kid Ink teams up with Travis Porter and Hardhead for a "No Flex Zone" remix. Last we heard from Kid Ink he dropped off a free track to celebrating hitting 3 mill Likes on Facebook. Ink is pretty consistent with dropping leaks, and sends us a new one today over Rae Sremmurd's popping single "No Flex Zone", produced by Mike WiLL Made It. For those unfamiliar, Rae Sremmurd ('Ear Drummers' backwards) are a young duo signed to Mike WiLL's imprint, and their very first single "No Flex Zone" is growing exponentially in buzz. Ink decides to hop on the beat and brings along his Bat Gang affiliate Hardhead and Travis Porter for the ride. Are you feeling his mix?